In October 1701, Yale University was founded. It set the standard for American education – a curriculum based on facts and truth, and taught by the best instructors. Here at CREUniversity.com, we take our efforts at education just as seriously. We often say that we are “better than ivy league” in our real estate education, because our instructors are better qualified than any professor – they are two of the largest commercial real estate investors in the U.S. You can see this in our courses and articles, and even this newsletter. 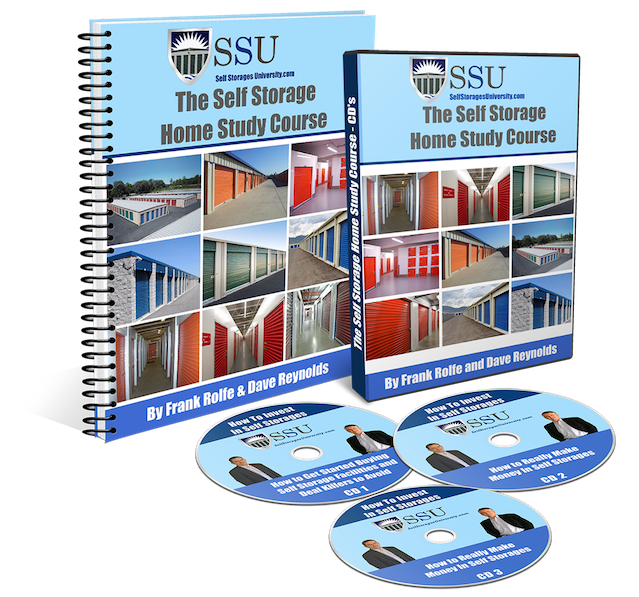 If you want to learn the truth about self-storage investing – based on facts and not just theory – then you came to the right spot. When you think of storage investing, you often think of the classic Public Storage facility with metal roll-up doors on a concrete foundation. But the truth is that there are many other ways to create self-storage opportunities – either through acquisitions or new construction – that should be considered. So what are these other options. One option is to build metal storage units that sit directly on the ground with metal floors, as opposed to on a concrete slab. These come in several designs, from kits that resemble traditional storage with roll-up door, to metal boxes with doors that swing open. This opens up many more opportunities regarding areas where traditional construction is too expensive or restricted by zoning or ordinance. The world’s inventory is transported by huge metal containers that go directly from ship to train or truck. These are incredibly sturdy and there are millions of them in use. However, at some point older containers are considered too old for continued rugged service and sold as surplus at low prices. These also make great self-storage units. You can buy these for as little as $1,000 which – assuming a rent of $100 month – could offer an incredibly high return on investment. The big challenge will be in finding niches where the demand is high, the supply of storage limited, and the zoning and ordinances allow you to place these on the ground and rent them out. Another plus of these containers is that they are very large, typically 9’ tall, 8’ wide and 48’ long. There is an old sporting goods store in San Francisco that was converted into storage units and is a huge financial success. Indeed, these type of retrofitting projects offer huge rewards if properly thought out and allowed by city ordinance. There are many examples in every major U.S. market, from abandoned factories to failed retail buildings. By repurposing existing structures, it greatly lowers the cost and can often get you locations that would be impossible with new construction. You can profit with outside-the-box thinking with self-storage. Don’t get boxed in by normal convention. Find new ways to satisfy customer’s storage demands, and you can unlock some really high yielding storage investments. There’s one term that you encounter over and over in storage investing and that’s “cap rate”. You cannot make good acquisitions if you don’t know the A to Z of the “cap rate” and how this ratio determines the success or failure of your deal. So what do you need to know? A “cap rate” is a fraction. It is the net income the property produces on the top of the fraction, and the total cost of the project on the bottom. You divide the top by the bottom and the result is the cap rate. It’s nothing more magical than that. A common mistake is to not include any deferred maintenance costs in the bottom of the fraction, so the cap rate is not truly accurate. Another mistake is to overestimate the net income, using numbers that are too aggressive or have been un-checked properly in due diligence. To be of meaning, the cap rate must be 100% accurate. Cap rates are a measure of a property’s financial performance – both current and future. It’s a way to see how a storage facility stacks up against its peers. And it’s also an important harbinger for appraisers and banks to determine the acceptability of a property for the purposes of financing. Just as baseball has batting averages to determine the quality and value of a player, the self-storage industry has the cap rate. Most self-storage facilities are sold for a cap rate that ranges from around 5% to 8% -- with some more rural properties selling for 10%+. Since most deals involve leverage in the form of a bank loan, the cap rate must be higher than the interest rate to have a positive cash-on-cash return. This is called “spread” and a 2-point spread equates to a better than 10% cash-on-cash return. To achieve that, you’d need to buy a storage facility at a 6% cap rate and finance it at a 4% interest rate. The reduction in interest rates as a part of “quantitative easing” has created an environment of lower cap rates, since the spread is more important than the nominal rate. A 3-point spread can achieve a 20% cash-on-cash return, so you can see the power of a market with low interest rates coupled with higher cap rates. Imagine a self-storage facility with a net income of $100,000 and a price of $1,500,000. The cap rate is $100,000 divided by $1,500,000 which equals a 6.7% cap rate. If you bought that property on Monday for $1,500,000 and then sold it on Friday at a 6.3% cap rate, you’d have made a $100,000 profit on just that small fractional change. That’s why you have to take cap rates very, very seriously. Although they don’t sound like much, the actual impact is enormous in dollars and cents. A good baseball player has a batting average of .300. And an outstanding player would break .400. But these numbers only make senses when you understand that the average pro player has a .250 batting average and compare them. In this same way, a 6% cap rate only seems good when you find out that the other storage properties are selling at 5% cap rates. To know if a cap rate is good or bad, you have to attain a full knowledge of all prevailing cap rates for comparison purposes. Cap rates are the most important stat a self-storage deal can be assigned. You need to watch cap rates very carefully and make sure that you know what the market will support, as well as that your numbers are 100% accurate. You can’t afford to make a cap rate mistake. We’ve all seen episodes of the popular program “Storage Wars” in which unpaid storage units are auctioned off for thousands of dollars. The bidding goes up and up with a frothy battle and the winner is often in the high four digits – even five digits on occasion. It would make any self-storage owner think that the best thing that can happen is for a tenant to stop paying rent. However, that’s not really the case. The average storage auction in the real world is thought to be around $100. Considering the fact that the monthly rent is typically around $100, that means that the storage owner actually takes a loss on every auction that is held, assuming that they lose two or three months of rent before the auction is actually held. Since most auctions end up with a loss, then the better solution is to not let it come to that. If you can keep the customer paying their rent, you not only save money that you would have lost at auction, but you also don’t have a vacant unit to fill. There’s no question that the #1 priority of any storage owner and manager should be to ensure that all customers pay their rent every month. So if collecting money is essential, how can you do that with every customer? Obviously, the bulk of your customers pay on time every month, but you have to immediately and proactively focus on the stragglers. Make contact with them and find out what the problem is. If they are having a near-term cash flow problem, work with them if you can. The worst thing you can do as a manager or owner is to sit back and do nothing as the customer’s bills stack up. The best managers have a habit of “herding” all customers along to timely payment each month. Dave Thomas, the founder of Wendy’s, called this instinct “riding the wave” and it means to stay tightly focused on the key drivers to profitability, of which collections is at the top of the list. Don’t listen to storage wars – that’s not based on reality but simply entertainment. You should do everything possible to ensure that all customers pay each month and leave those storage auctions to television. One of the fundamental laws of economics is supply and demand. The rule is that as supply goes up, prices go down, assuming that supply increases at a higher rate than demand. When supply is more limited, then prices go up in keeping with higher demand. So, based on this economic principal, there are some immediate observations that have importance in self-storage acquisitions. Increasing supply is never good for storage investors. In a perfect world, new permits would never be issued for new storage development. But obviously, that’s impossible, as there is typically raw land in every city and market, and storage is one of the development options. But to build storage you have to have certain zonings. And that holds the key to analysis. You can obtain zoning maps from every city hall in America that will show you the zoning for every piece of property inside the city boundaries. From this you can extrapolate the amount of property that is zoned to allow for self-storage construction. This will give you a clear indication of what the future danger of new storage construction is. Future supply is less concerning when you have a price advantage. You should see what it costs to build a new storage facility in your market, and then add in the price of land. It may be that any new property would cost far more than what you paid for yours. As a result, you should be able to undercut their rental rates and maintain an advantage. Cities are always re-zoning land, as well as annexing new property into the city limits. As a result, it’s a good idea to stay on top of these new storage possibilities. Read the newspaper and talk to city hall periodically to see what’s going on. If supply impacts storage values, so does demand. 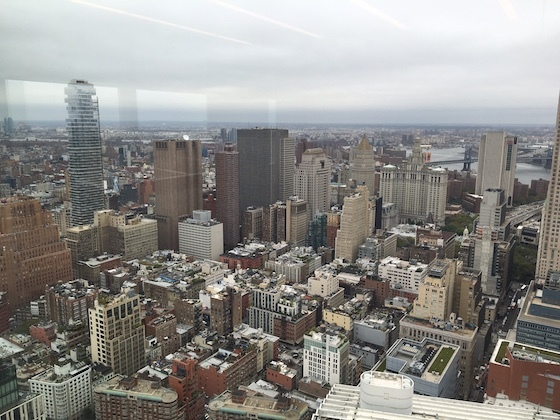 In markets with rising demand, occupancy and rents will increase despite new construction. Examples of markets with steep increases in demand are cities with rapidly expanding population, such as Austin and Dallas. You can find the stats on a market’s demand by going to www.bestplaces.net, as well as researching the issue on Google. Healthy storage markets have rising demand and small additional supply. Unhealthy markets have lesser demand and large increases in supply. And stable markets have no great spike in either supply or demand. It’s as simple as that. Economics may have been a boring class in college, but it’s a great predictor of future values and rent levels. Stay informed and watch for signs of how the dynamics are working in your market.